A bunch of ciabatta breads from our local baker's. 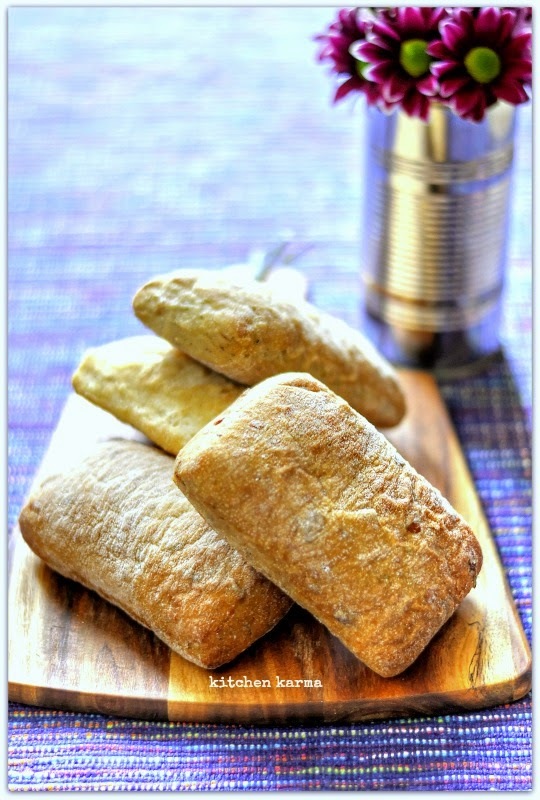 Both my husband and me, we enjoy ciabatta sandwiches for a quick, yet delicious lunch! Do you have a favourite ciabatta sandwich recipe? I've made ciabatta last year but the result was a disappointment :P Need to try another recipe . Our neighborhood bakeries don't sell that kind of bread tsk !